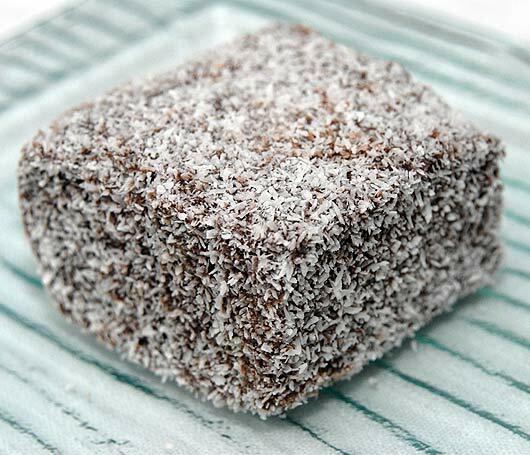 Lamingtons are a quintessential part of every Australian’s childhood. The little sponge cake is dipped in chocolate icing and then rolled in desiccated coconut. This one is dedicated to my best friend in Australia – Raj. Happy Birthday! 2. Lightly butter an 8 inch square cake tin. Set aside. 3. In a large bowl, sift together the flour, baking powder and salt. Set aside. 4. In a separate bowl, use an electric beater to cream the butter and sugar mixture together until pale and fluffy. 5. Add the eggs one at a time to the butter/sugar mixture. Beat well after adding each egg. 6. Add the vanilla to the mixture and mix well to combine. 7. Next, use a spatula to alternately add the flour mixture and milk, in three additions, starting and finishing with the flour. 8. Spread the batter into the cake tin, making sure it’s evenly spread. 9. Bake in the oven for about 30 minutes. Test the center of the cake with a toothpick and make sure it comes out clean. 10. Cool the cake in the tin for about 5 minutes and then invert it onto a wire rack to cool. 11. Once the cake has cooled cut it into squares of a desired size and place them in an airtight container. Pop the container in the fridge for at least 2 hours or even overnight. 12. Icing. Place the icing sugar, cocoa powder, butter and milk in a heat proof bowl over a saucepan of simmering water. 13. Stir the mixture until it is smooth but still a bit thick. You don’t want the liquid to get too thin otherwise the sponge cake won’t absorb the coating. 14. Put out some newspaper under wire racks to catch any mess. Place the cake pieces on the racks and have your chocolate icing and desiccated coconut ready. 15. Quickly coat the sponge cake on all sides in the icing mixture and then gently roll the cake in the coconut. Repeat the process. 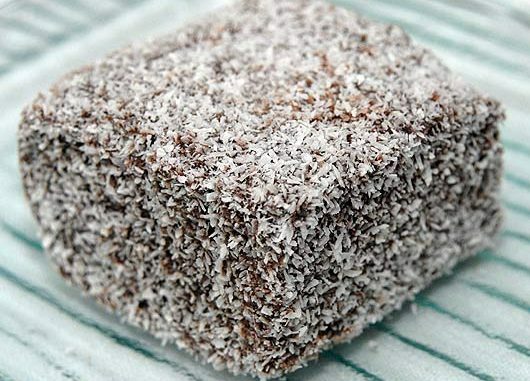 Notes: To make these Lamingtons extra special you can fill them with fresh whipped cream and strawberry jam. Bristol Palin And Joan Rivers Living Together?